AE can provide complete manufacturing solutions to satisfy the most demanding customer. 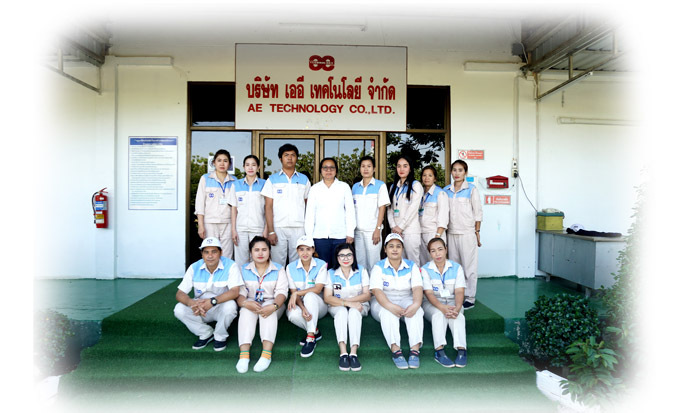 Manufacture have been got ISO 9001:2008 Standard and qualify on Thai Industrial Standards Institute, to ensure that all of assembly product will be qualify of product control and standard of both. Manufacturing equipment has been carefully selected and deployed in the optimal facility to meet TISI standard, and all of equipment have been calibration in every year.